The Syllabus for JIPMER MBBS 2019 will follow the HSC syllabus of CBSE and state board, which include the following subjects and the respective topics. So students must prepare for the entrance by following the syllabus. 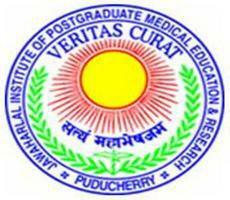 JIPMER MBBS Syllabus based on which class curriculum? The 12th, 10th or will there be any extras? The Syllabus to JIPMER MBBS will be based on your 12th standard portions. There will be questions from Biology, Physics and Mathematics. There will also be an English section which will assess your Basic skills in Writing and Literature. Aspiring Candidates can get the list of Important Topics on this article. What is the English syllabus for JIPMER MBBS? What is the JIPMER MBBS syllabus for Chemistry? What is the Biology syllabus for JIPMER MBBS 2017?